Licking his lips: Proteas stand-in T20 skipper JP Duminy will hope Bangladesh are ripe for the taking. Photo: Frikkie Kapp/Gallo Images. As the Tigers investigate three players for alleged gambling, South Africa wonder what type of opposition they’ll face in the T20 series. It’s a bit ironic that the Proteas and Bangladesh start their two-match T20 series on the back of three of the visitors’ players being disciplined for visiting a casino in East London last weekend. 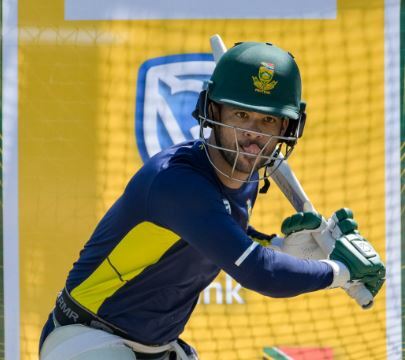 Indeed, South Africa skipper JP Duminy believes this evening’s opening game in Bloemfontein could amount to a lottery much like hoping to hit the jackpot at the slots. “There are two ways to look at the Bangladeshis’ state of mind going into this series,” the 33-year-old left-hander said yesterday. Following successive whitewashes in the Test and ODI series, the Tigers have been dogged even further by an internal investigation over three players – Nasir Hossain, Taskin Ahmed and Shafiul Islam – missing team curfew after Sunday’s 200-run ODI loss at Buffalo Park. According to Bangladesh Cricket Board president Nazmul Hasan, the players arrived at the team hotel at 10.34pm when they should’ve been back at 10. It is not known whether the trio had gambled, which is against Islamic religion. Duminy was diplomatic on the issue of allowing players personal freedom. “We are here to win a game of cricket. What the opposition get up to is their prerogative,” he said. Despite missing Faf du Plessis with a back injury, South Africa do have the luxury of quite an experienced group for the series. Even one of the few rookies, 33-year-old Robbie Frylinck, isn’t actually all that wet behind the ears. “It’s a great opportunity for him. He comes in with a lot of experience at his franchise. It’s just about executing his skills,” said Duminy.